Did I tell you how jealous I am???? Ha! It was a lot of fun! 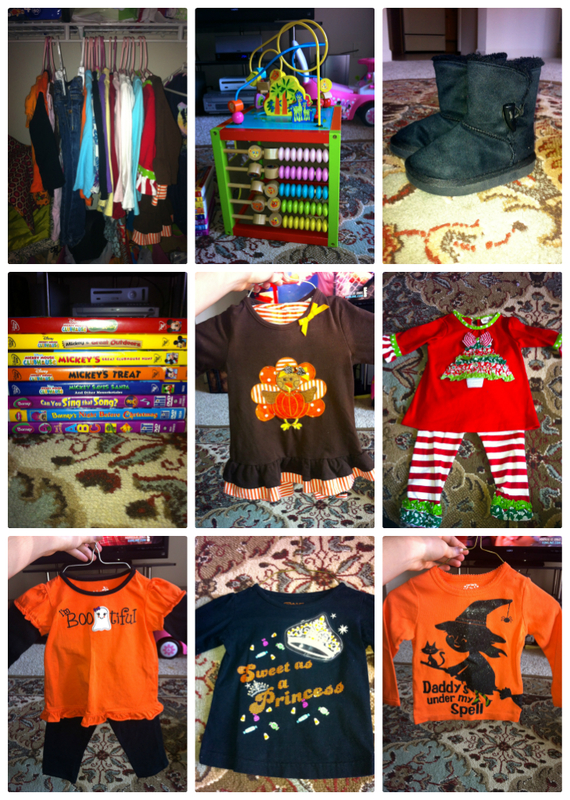 If you need anything for baby #4 you should definitely hit up a sale! Day-um that's amazing! I thought of you the other day when I went into "Once Upon a Child" (kid's used/new clothes store around here). I have to run home and wash my goodies before the husband sees though because he even thinks stores like Ross and TJMaxx are thrift stores and won't set foot in them. He'll never know mwahahaha. That's so funny about your Husband! Men can be so dramatic :) Adam is the total opposite, he gets excited about Ross and TJ Maxx! Are you serious!!! I'm so jealous I need to do some maaaaajor shopping for Ri for fall/winter. Good job!